Iran is planning to increase its missile capacity and acquire modern fighter jets and submarines as part of efforts to expand its defence capabilities, a senior official has said. Mohammad Ahadi, Iran’s deputy defence minister for international affairs, made the announcement in a speech to a group of foreign military attaches, the Islamic Republic News Agency (IRNA) reported on Saturday. 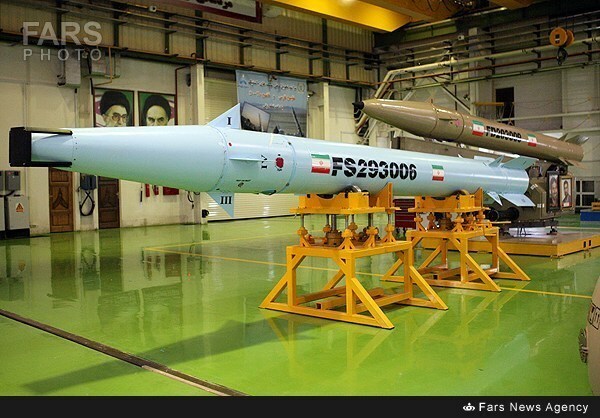 “Increasing ballistic and cruise missile capacity … and the acquisition of next-generation fighters and heavy and long-range vessels and submarines with various weapons capabilities are among the new plans of this ministry,” he said in the capital, Tehran. His comments came a day after Tehran rejected a French call for negotiations on future nuclear plans, its ballistic missile arsenal and its role in ongoing regional conflicts, in the wake of a decision by the United States to withdraw from a multinational nuclear deal with Iran and reimpose sanctions against it. Earlier this week, Iranian lawyers asked the International Court of Justice to order the US to lift the sanctions, saying the measures – which are damaging Iran’s already weak economy – violate terms of a little-known 1955 friendship treaty between the two countries. In his address, Ahadi said the sanctions had not slowed the development of the country’s arms industry. “We have the necessary infrastructure and what we need to do is research and development, and at the same time upgrade and update the defence industry while relying on the country’s very high scientific capabilities and tens of thousands of graduates in technical fields and engineering,” he was quoted as saying by IRNA. He also defended Iran’s actions in Syria and Iraq, saying they were central to defeating the Islamic State of Iraq and the Levant (also known as ISIL or ISIS) armed group. In August, Iran unveiled a new domestic fighter jet, reportedly the first to be “100-percent indigenously made”. At the time, Iranian President Hassan Rouhani said the country’s military strength was designed to deter enemies and create “lasting peace”. Rouhani later said that the Islamic Republic’s military prowess deterred the US from attacking it. Relations worsened between the two countries after US President Donald Trump‘s decision in May to pull out from the landmark nuclear deal, which was signed in 2015 between Iran and several world powers. In a separate announcement on Saturday, the head of the defence ministry’s naval industries said a water jet propulsion system was in development and would be ready by March, according to semi-official news agency Tasnim. Earlier this week, Iranian state media reported the launch of military exercises involving some 150,000 volunteer Basij militia members, led by Iran’s Revolutionary Guards, who vowed to protect Iran from “foreign threats”. “The motto of these war games is unity … and to declare that, when it comes to adversity and threats from foreigners, we all join to defend the [Islamic Republic’s] system,” Basij commander Gholam-Hossein Gheibparvar was quoted by IRNA as saying. The exercises come in advance of massive annual rallies planned for later this month to mark the start of the Iran-Iraq war, which raged from 1980 to 1988.